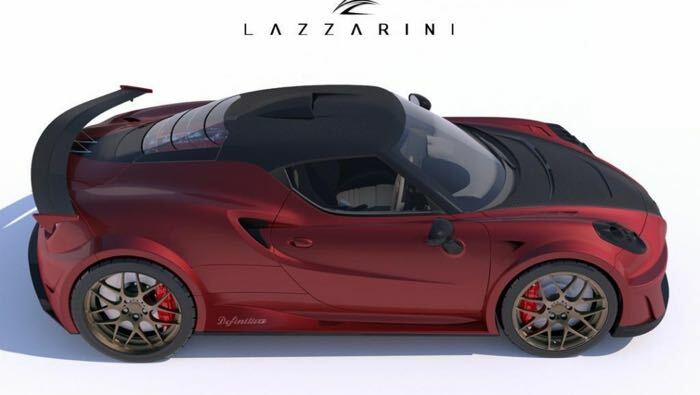 Rome based tuner Lazzarini Design thinks that the Alfa Romeo 4C doesn’t have enough power, so they have decided to launch their own tuned version, which will come with a massive 738 HP, that is almost 500HP more than the standard version. 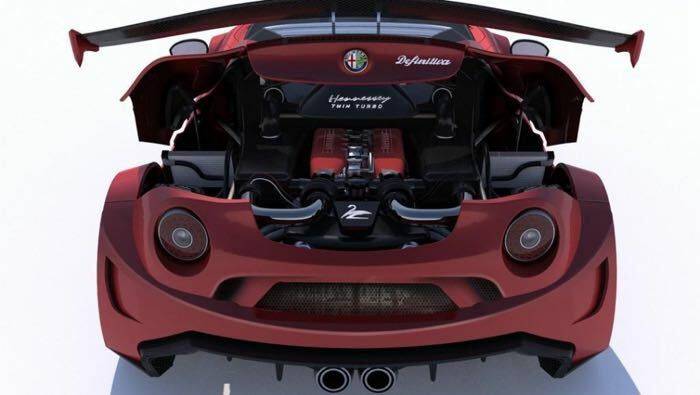 To get the extra 500HP in the Alfa Romeo 4C, Lazzarini Design will replace the Alfa engine with a 4.3 litre Ferrari V8 engine, and if that isn’t enough to boost the power, it will also get two Hennessey turbos. 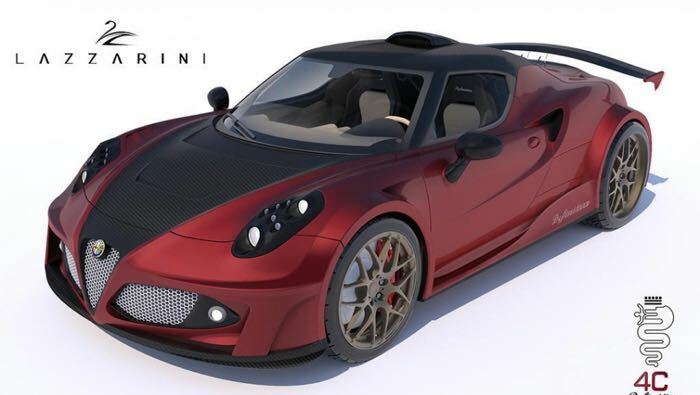 The modded Alfa Romeo 4C will be called the Lazzarini Design Definitivia, and the vehicle will come with a massive 532 pound-feet of torque and will be capable of speeding from 0 to 60 mph in just 2.5 seconds. As well as the uprated engine and addition of twin turbos, this tuned Alfa 4C will also get a number of styling changes, as can been seen in the photos. 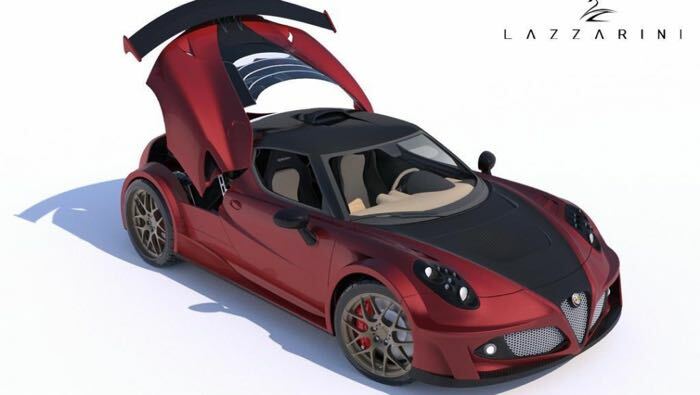 This one is going to cost slightly more that the $53,900 for the standard model, as the Lazzarini Design Definitivia 4C is goinf to set you back $310,900.